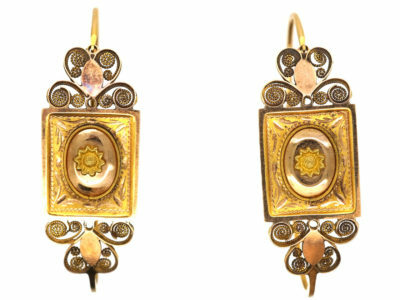 A rare pair of Georgian earrings that were made circa 1800. 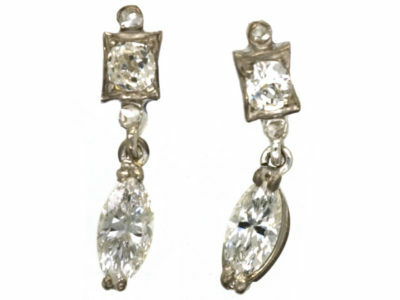 They have been set with graduated old mine cut diamonds that have been foil backed. 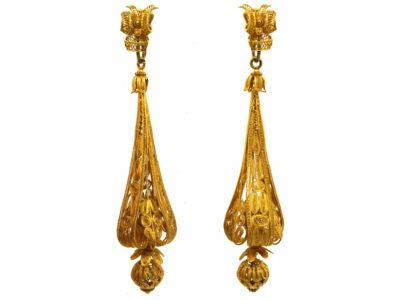 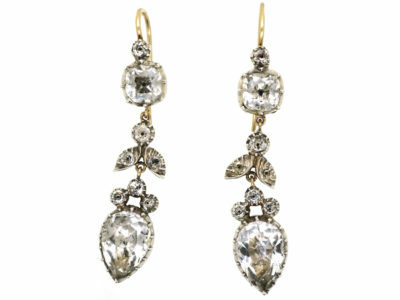 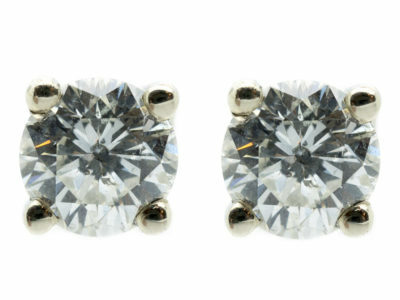 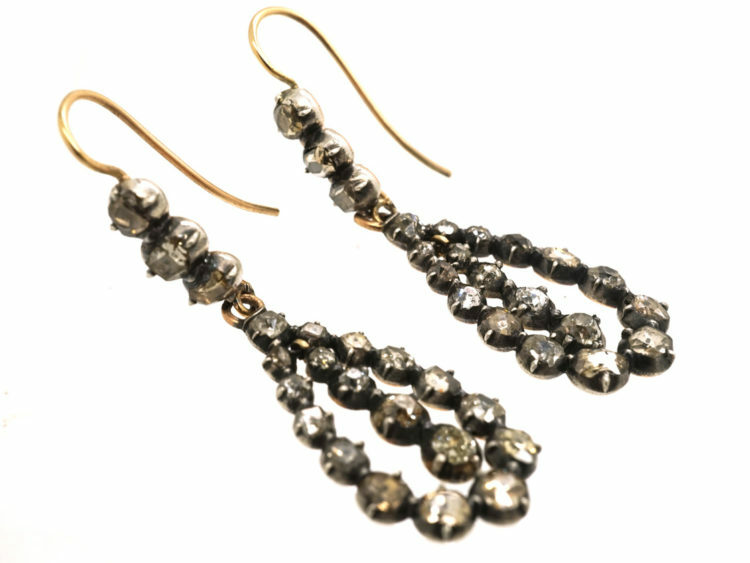 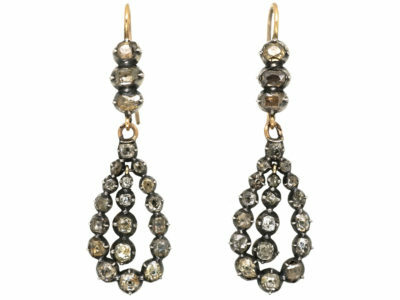 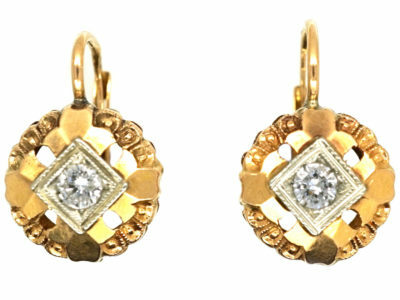 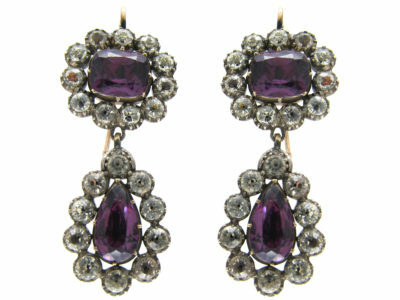 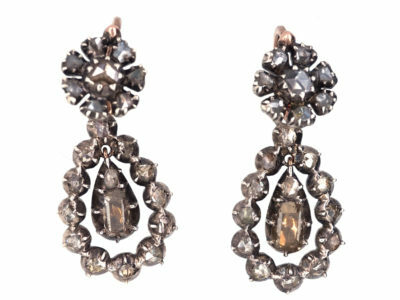 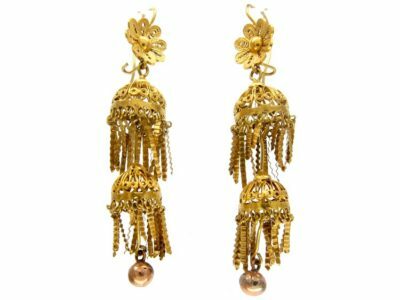 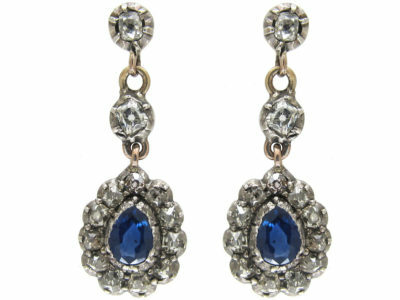 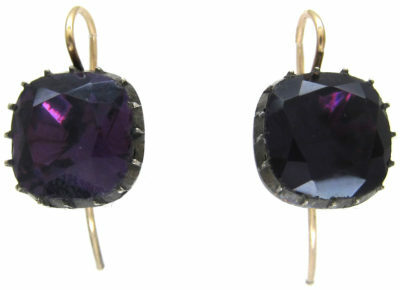 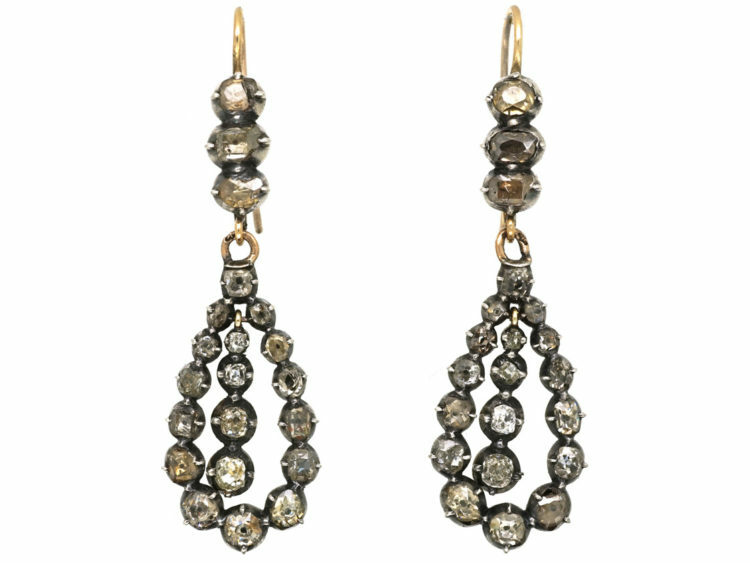 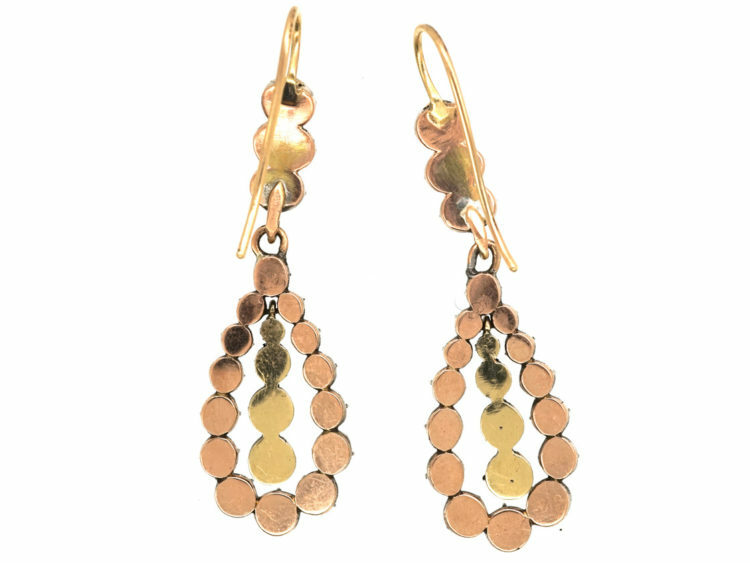 These earrings were designed to have been worn in a candlelit setting and they do look stunning when worn at night.